Automotive manufacturers need to solve a unique set of challenges and they require a creative, focused approach to the industry from their suppliers. 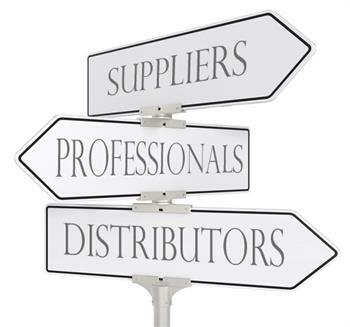 For AGV providers, this focused approach is even more important, as they often provide equipment across a broad range of verticals. JBT, in its over 30 years of automotive experience, has learned this lesson and has success stories that speak to the best ways to support you, automotive industry end users. In one of JBT's installations with a major European automotive manufacturer, we delivered a customised AGV solution, which met the customer's need for JIT transports of custom-made racks containing kitted assemblies. JBT took the time to understand the manufacturer's specialized over-under delivery system and provided software to track inventory throughout the facility in order to better support it. At another location with the same OEM, a fleet of forkover AGVs move full and empty boxes and stillages throughout the facility. The challenge of this particular installation included moving loads between elevators and on a mezzanine floor. This second floor also supports a high-density storage automation solution. The AGVs transport boxes and stillages containing an assortment of parts across these locations. The operators use these parts to build kits that are then sent to lineside. In fact, operators initiate the call for parts carried by the AGVs using pushbuttons, which send a signal to the facility's warehouse management software (WMS). The AGV system interfaces directly with the WMS software to ensure transparency within the facility. The entire operation supports a material movement almost every minute and operates 24 hours a day, 5 days a week. 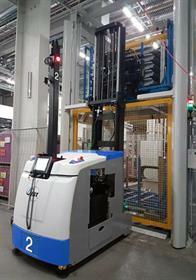 Another installation with a different European automotive manufacturer features JBT's signature counterbalance AGVs supporting production on two different floors. In this application, which represents a strategic, long-term partnership between JBT and the manufacturer, AGVs again move large metal stillages throughout the facility. These stillages contain over 17 different parts SKUs , and these parts are used during the body and assembly process. The AGVs interface with upper and lower levels, respectively, and achieve a throughput of over 45 material movements per hour. On the software side, JBT's AGV control software, SGV Manager, integrates with the automotive manufacturer's enterprise resource planning (ERP) software. This improves overall transparency inside the facility and aligns with the manufacturer's Industrie 4.0 initiative, which was a major component of the AGV project. 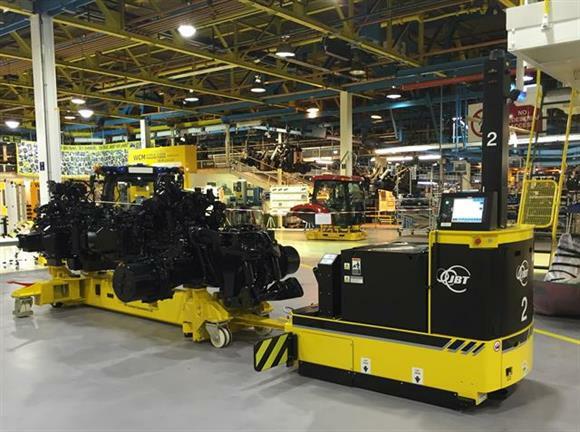 A final example of JBT's success in the automotive industry, its installation with a separate manufacturer features 10 towing AGVs, which form the core of their flexible assembly line. In this 24/7 facility, AGVs capable of hauling 15,000kg take chassis from a primary loading station to several different assembly stations. 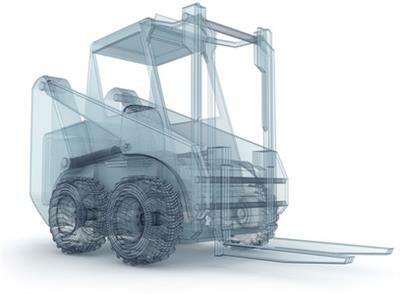 At each of these locations, operators manually add additional components to the chassis. The AGVs then bring them back to the loading station at the end of the assembly process. From there, the chassis enter final assembly. The AGV software operates independently of any higher-level facility software and makes intelligent decisions to ensure that the system operation is smooth. JBT's SGV Manager plays a substantial role at each of these installations, supporting manufacturers' Industrie 4.0 initiatives at each of these facilities. That's because not only does this software control each vehicle movement with around-the-clock reliability and precision, it also enables the end users to gain valuable insight into their operation with a variety of performance, efficiency, monitoring, and maintenance data metrics. For automotive manufacturers, this is critical. The industry relies on a streamlined, efficient manufacturing process that can be replicated at a high volume. In order to achieve this, automotive OEMs need transparent, highly-detailed reporting features that they can use to optimize their production. This is one of the reasons why automotive is leading the Industrie 4.0 digital manufacturing transformation. Intelligent automation, paired with high dependability, is the exciting new frontier, and European automotive manufacturing operations and their supply chains are at the forefront. In each of these installations and many, many more, JBT recognizes this need on the part of the automotive end users. 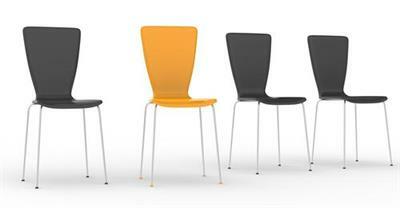 The company has learned to implement flexible solutions with scaled software that fit customer requirements. 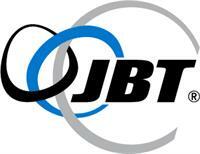 JBT conforms to each end user's individual point in the Industrie 4.0 journey. Supplying its clients with a scaled, flexible solution, JBT effectively supports the automotive industry throughout Europe, APAC and the Americas. Looking for more information on AGVs in the automotive industry? Visit www.jbtc.com/automated-systems, or contact our European team click here to send an email.